The Nisga’a Hayatskw design represents a copper shield, once used as currency and a great sign of wealth and authority in the Nisga’a Nation. Here, it indicates Nisga’a ownership and control of resources. The beaver design on the upper part of the copper shield represents industriousness and plentiful resources. The beaver is also a national symbol for Canada, and it has been important to both Nisga’a history and Canadian history. 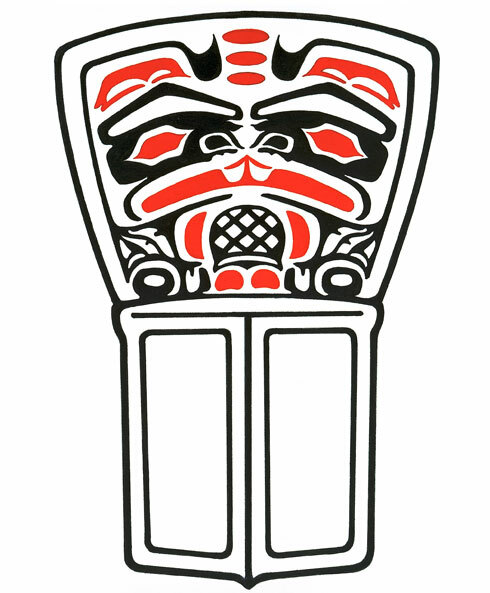 The copper shield and the beaver jointly represent the wealth and authority of the Nisga’a Nation.